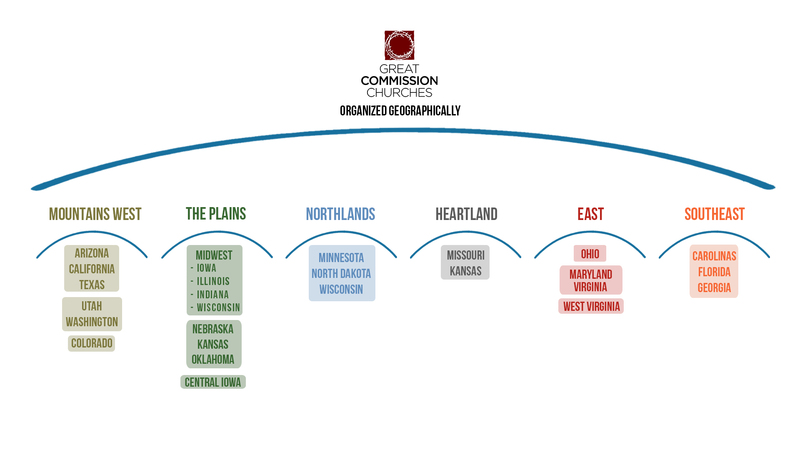 Throughout the United States regional teams work with local churches for the purpose of church planting, leadership events, conferences and counsel. The following are general ministries offered by leaders who are personally members of a church that is part of Great Commission Churches. Each leader agrees with the GCC Statement of Faith and GCC Core Values Statement. Their ministries are designed to glorify God, build Christians, and advance the gospel of Jesus Christ. For more information about each ministry, contact them directly at the website or link provided below. BtoZ Parenting is a Family Mission Initiative with a mission to help build strong disciples by building strong families. e3 Leadership Group (e3lg) is a US-based resource ministry for Great Commission Churches and other like-minded churches and ministries seeking to affect Asia for Christ. We partner by providing strategic coordination, equipping and specialized training. Our primary purpose is to provide the tools, resources and expertise for the development of short-term mission participants, short and long term missionaries, church planters, pastors and ministry leaders. We produce, print and distribute literature that is designed to help the local church. Life Now Bible Studies, various booklets, different Gospel tools, etc. These printed materials are for the young believer, as well as the older believer. And they are all written to help young or old, learn more about their faith and help or equip others to do the same. Some popular titles are: Begin in Christ, The War against your Soul, Are you ready to get Married?, A Life Applied, Courageous Unity, With a Whole Heart, and God’s Plan for your Life. Herschel has been pastoring God's people and teaching His Word for many decades now. His web site contains many wonderful resources for church ministry today. Many GCC churches have launched successful outreaches to international students studying on American campuses with wonderful results! There are millions of orphans and at-risk children around the world. Orphan World Relief seeks to link people who are passionate about caring for children with programs and projects serving the least of our society. From orphanages and programs helping at-risk kids around the globe to kids entering foster care within the United States, Orphan World Relief wants to partner with you to make a difference. Pastor Assist was founded by veteran Pastor Tim Honeycutt to encourage ministers who are experiencing fatigue, crisis or other challenges. The ministry offers prayer, onsite visits and phone calls of encouragement. When visiting onsite, Tim is available to serve in pastoral capacities to give the leadership an opportunity to regroup and regain focus and clarity. Tim is not a consultant, but a peer who has experienced ministry challenges and victories and has dedicated his life to strengthening pastors. Pastor Assist's services are free and Tim provides his own lodging. RUN stands for Reach the Unreached NOW! At RUN Global, we believe the Great Commission task can be finished in our lifetime, if we RUN! In 2009 RUN Global was started specifically to activate and mobilize the body of Christ to RUN to finish the task of reaching the world with the gospel of Christ. A church planting movement was catalyzed in India that is seeing thousands of people saved, and trained to reach others. Now RUN board and staff members are working in additional Asian nations catalyzing more church planting movements. TSCM is the teaching and evangelistic ministry of Tom Short. Through TSCM, Tom takes the gospel to campuses throughout the United States and, in some cases, internationally. He also teaches at conferences, retreats and in churches. Total Health is a non-profit, charitable organization created to improve health care delivery in Latin America. This mission is accomplished by working with local churches in La Ceiba, Honduras and Managua, Nicaragua. The function of Total Health is to raise money for the operational costs of health clinics, and to recruit personnel to travel to Latin America and work in the clinics and surrounding communities. Urban Ministries seeks to catalyze urban ministry within the Great Commission churches movement. This is done through encouraging, equipping, and envisioning those already in or interested in urban ministry.